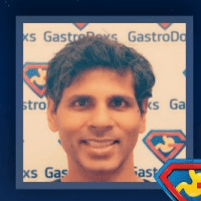 An occasional bellyache is just a part of life, but severe or persistent pain should prompt a call to GastroDoxs and a visit with Bharat Pothuri, MD in Cypress, North Houston, Texas. Several factors can cause abdominal pain, and finding a treatment path is a priority for patients who suffer from frequent or acute stomach pain in Greater Houston. Through state-of-the-art technology and cutting-edge approaches, Dr. Pothuri has helped patients find relief from pain and get back to the activities they love. If you are living with abdominal discomfort, call the team at GastroDoxs or schedule an appointment online. First, it’s important to differentiate between a temporary stomach ache and serious abdominal pain. When pain is sharp, severe, or persistent, it’s time to make an appointment with GastroDoxs. Getting to the bottom of abdominal pain is vital because some conditions can worsen over time and lead to complications. When should I seek care for abdominal pain? Many people try to tough it out when they experience abdominal pain, but it is important to know when your symptoms suggest a serious medical condition. Dr. Pothuri urges you to listen to the messages your body is sending and to come in for care when abdominal pain seems like more than a simple bellyache. If you have abdominal pain that persists for more than a few days, this could be a sign of a chronic condition. How are abdominal issues diagnosed? Dr. Pothuri begins by giving you a thorough physical exam, including checking your abdomen for swelling or tenderness. He also asks about your medical history and your family health history. Dr. Pothuri may also collect your blood, urine, or stool for additional testing. Once he receives the results of these diagnostic tools, Dr. Pothuri will discuss your available treatment options and help you determine a plan of action. What are some self-care options for abdominal pain? You can do a lot to reduce your chances of severe or persistent abdominal pain. Eating a diet rich in healthy foods and drinking plenty of water is a great place to start. Many people find relief by eating more frequent, but smaller meals. Lifestyle modifications can also help, including getting plenty of exercise. Avoid lying down within a couple of hours of your last meal of the day, as it can make abdominal pain worse. In some cases, abdominal pain is caused by a digestive condition, and Dr. Pothuri may recommend certain prescription or over-the-counter medications, as well as specific dietary guidelines, for lasting relief. If you suffer from lasting abdominal pain, schedule an appointment online today to begin a customized treatment plan that addresses your specific needs. We are conveniently located in the Greater Houston area.